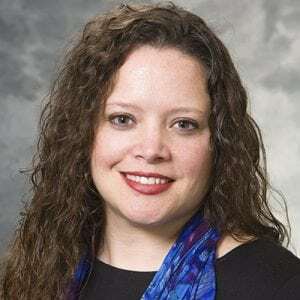 Jessica Schumacher completed her Master’s degree training in Epidemiology in 2001, after which she worked as an epidemiologist in the California and Wisconsin state Departments of Health in cancer prevention and control. Returning to school in 2005, her doctoral training in population health emphasized Health Services Research, during which she acquired broad knowledge of the determinants of health and investigated breakdowns experienced by the near-elderly in care processes, resulting in the underuse of needed care and increased use of hospital services. These interests solidified her interest in care transitions and consequences for vulnerable patients. Helping family members navigate the emotionally charged and fragmented cancer care delivery process focused her interests on cancer care delivery. In her research, she uses quantitative and qualitative mixed methods strategies to identify opportunities to improve health care quality and health outcomes for vulnerable older adult patient populations. These experiences have culminated in a number of published studies on health care quality and health outcomes in cancer patients and near-elderly patient populations with complex illness. Jessica oversees research efforts pertaining to cancer care delivery, secures funding with faculty, and helps coordinate research fellows and biostatisticians/programmers working on these projects.